So which paid antivirus program should you pick? That's where we come in. PCWorld teamed up with AV-Test (av-test.org), a respected security-software testing lab based in Germany. Together, we looked at 13 paid antivirus products from a number of leading security companies. We provide links here to full reviews of all 13, plus summaries of the reviews' key points. AV-Test's multifaceted testing procedure looks not only at how well an antivirus product can detect malware using traditional, largely signature-based methods (that is, employing a database of known malware types), but also at how well it can block brand-new, as-yet unknown malware. AV-Test also examines how well a security product can clean up after an infection in the event that a piece of malware does get through. This article focuses on paid stand-alone antivirus products, not free antivirus software or full-fledged security suites. Paid antivirus usually comes with better technical support options and more-comprehensive protection features than free programs. Suites go further still, offering features such as firewalls, parental controls, identity theft protection services, and more. See "Fee vs. Free: Free and Paid Antivirus Programs Compared" (some of our rankings have changed since that roundup appeared in November) and "Battle of the Security Superpowers," which lists our top security suite picks. This year, more and more antivirus packages come with tie-ins to so-called cloud services, in which fresh information on brand-new threats pushes down from the vendor's Web servers to your PC. This is a trend we began to see over the past year or two, but it has really taken off in this year's batch of products. Cloud-based detection takes many forms. 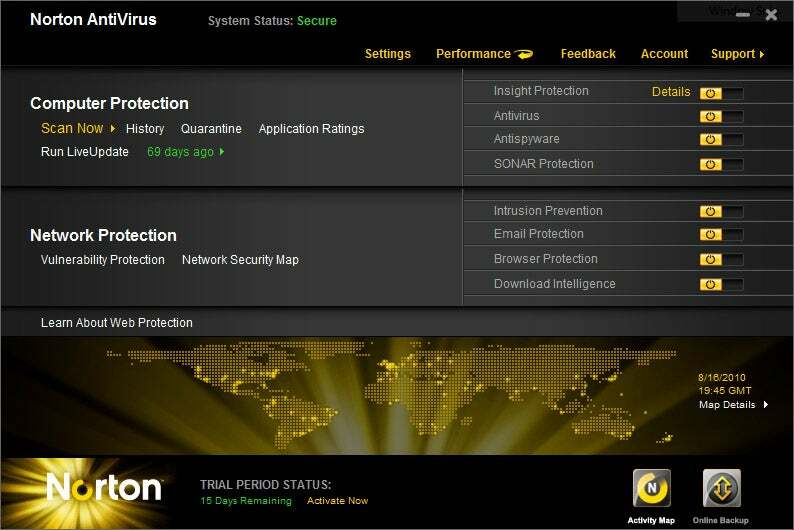 In some products, such as Norton AntiVirus, it's used in reputation-based systems that pull together information on files and file types from users around the world to better detect suspicious files more quickly. Norton calls its system Quorum, but each company that offers a reputation-based process has its own name for the feature. In other products, such as Trend Micro Titanium Antivirus, the bulk of the malware detection actually takes place in the cloud--remotely, on the company's servers, rather than on your PC--with the intention of catching malware sooner and reducing the performance impact on your system. Since an antivirus product is only as good as its ability to block baddies, we based 70 percent of each program's overall score on its success in malware detection (and blocking and cleanup), with features, ease of use, and overall drag on system performance accounting for the rest. It was a close race overall, but Symantec Norton AntiVirus 2011 took home the top prize with its excellent malware detection, blocking, and cleanup. 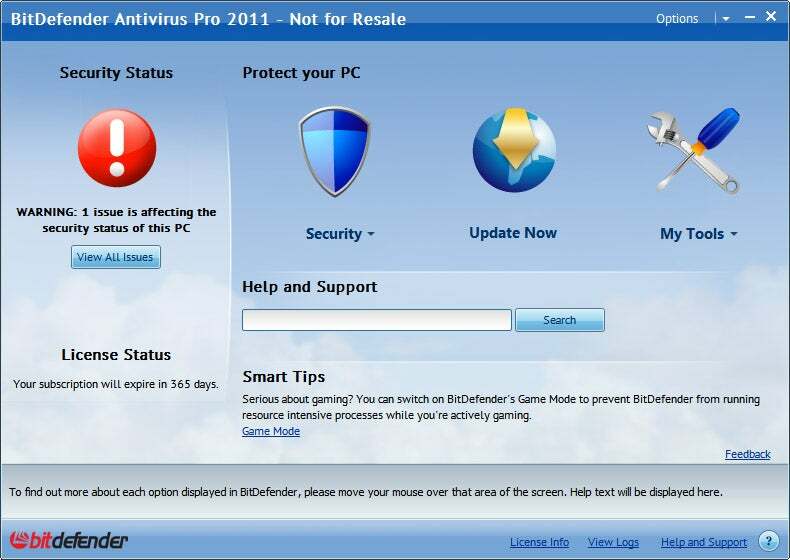 BitDefender Antivirus Pro 2011 and G-Data AntiVirus 2011 round out the top three. 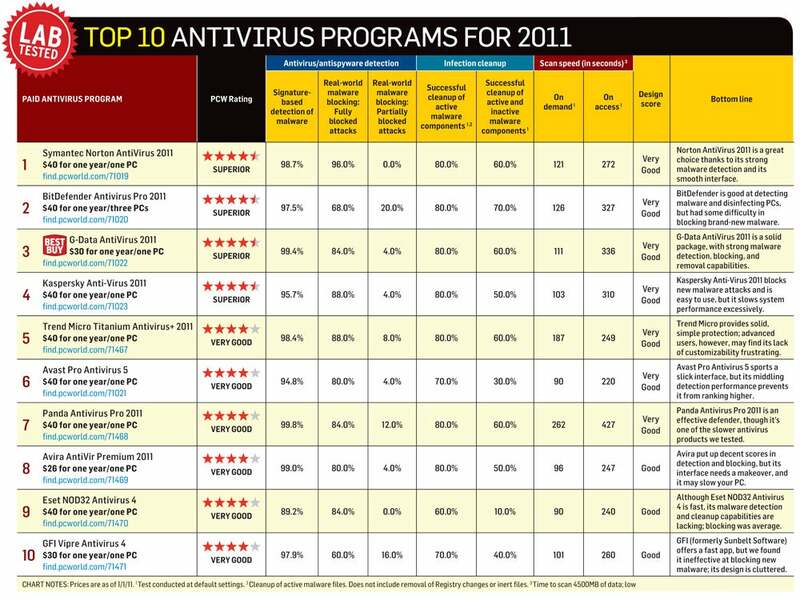 Check out our top 10 paid antivirus programs of 2011, or click on the thumbnail image above. Pros: Has a good interface and strong malware detection. Cons: Scan speeds lag behind those of the top performers. 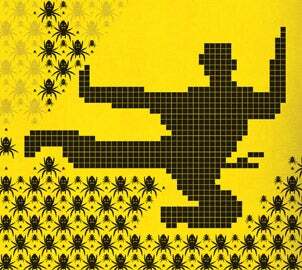 Bottom line: Norton AntiVirus 2011 is a great choice thanks to its strong malware detection and smooth interface. 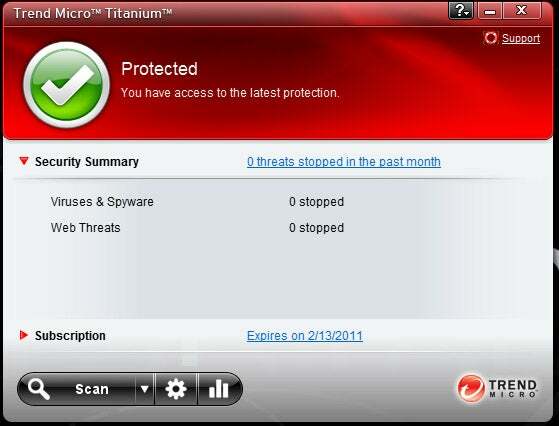 Pros: BitDefender is effective at cleaning up infections and at detecting known malware. Cons: It struggles at detecting new malware, and its interface may be confusing to some users. Bottom line: BitDefender Antivirus Pro 2011 does a good job at detecting malware and disinfecting PCs, but it had some difficulty in blocking brand-new malware. Pros: Excellent malware detection and blocking; good at disinfecting PCs. Cons: Lacks some features common in other antivirus products; scan speeds are inconsistent. 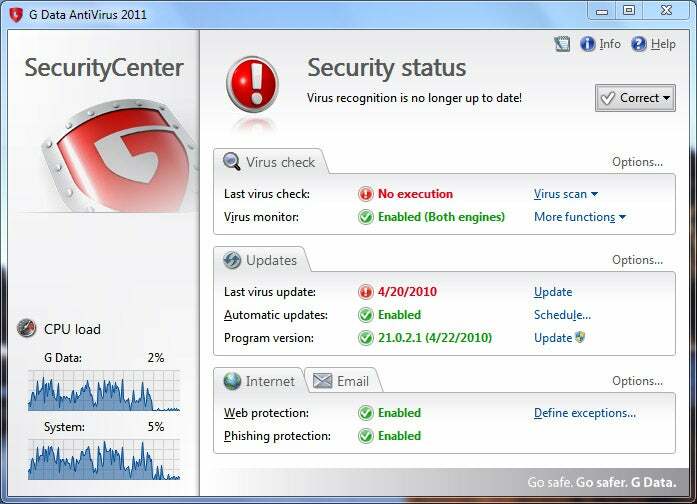 Bottom line: G-Data AntiVirus 2011 is a solid package, with strong malware detection, blocking, and removal capabilities. Pros: Has strong malware detection and blocking, and a great interface. Cons: It slows PC startup times and file copying. Bottom line: Kaspersky Anti-Virus 2011 is very effective at blocking new malware attacks and is easy to use, but it slows system performance more than we'd like to see. Pros: Easy to use, with good malware blocking. Cons: Not ideal for advanced users. Bottom line: Trend Micro provides solid, simple protection against malware, but advanced users may find its lack of customizability frustrating. Pros: Has a good interface and excellent scan speeds. Cons: Its detection performance is only average. 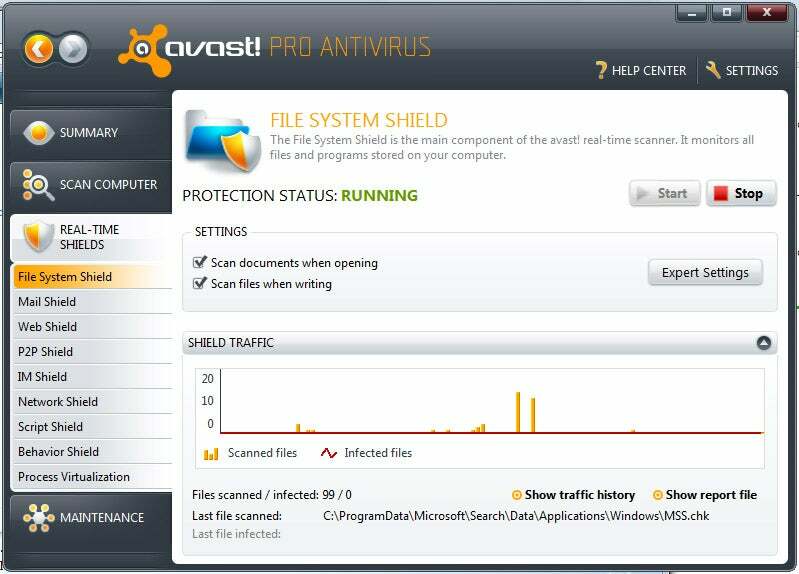 Bottom line: Avast Pro Antivirus 5 has a slick interface, but its middling malware detection performance prevents it from achieving a higher score. Pros: Excellent at detecting known malware; good disinfection capabilities. 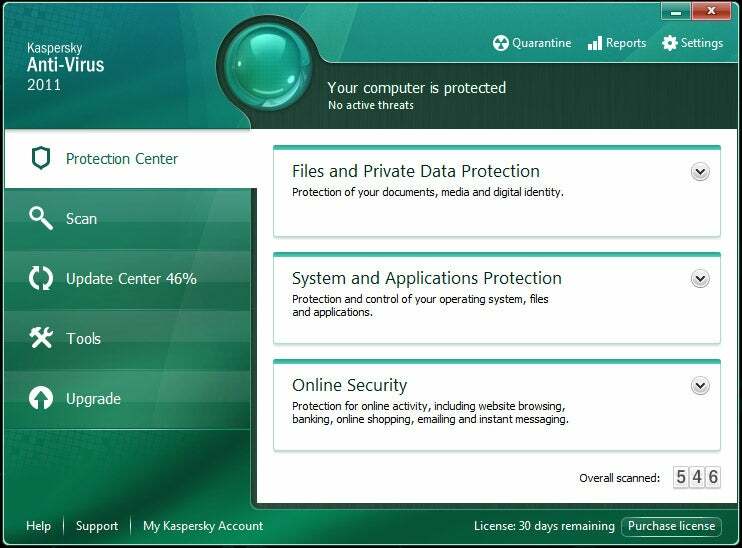 Bottom line: Panda Antivirus Pro 2011 is an effective defender, but it's one of the slower antivirus products we tested. Pros: Has excellent malware detection and blocking, and excellent scan speeds. Cons: It's somewhat light in features, and its main interface needs refining. 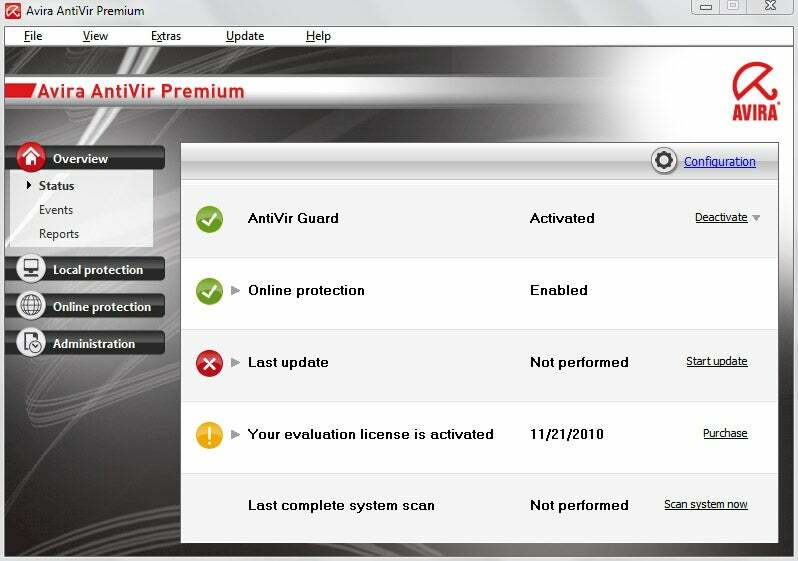 Bottom line: Avira AntiVir Personal does an great job at blocking and detecting malware, but its interface needs a makeover. Cons: Malware detection and blocking is subpar, and the settings interface is poorly designed. 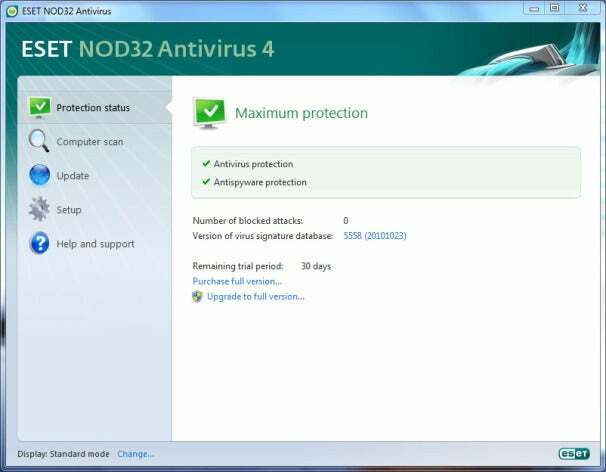 Bottom line: Eset NOD32 Antivirus 4 is fast, but its malware detection capabilities are lacking. Pros: Has fast scan speeds and little impact on PC performance. Cons: Struggles at blocking new malware, and the interface is rough in spots. Bottom line: GFI Vipre Antivirus is fast, but it's ineffective at blocking new malware. Pros: Good blocking of new malware. Cons: Running it generates a sizeable hit on PC performance, and it manages only middling detection of known malware. Bottom line: ZoneAlarm Antivirus put up reasonable scores in blocking new malware, but mediocre detection of known malware and speed issues drag its score down. Pros: Great blocking of new malware. Cons: Below-average detection of known malware; struggles at cleaning up infected PCs. Bottom line: Comodo Antivirus Advanced does an excellent job at blocking of known malware, but this can't offset its problems at detecting known malware and removing infections. Cons: Slow scan speeds and below-average malware detection and blocking. Bottom line: Although it's straightforward and easy to use, Webroot Antivirus With Spysweeper 2011 trails the competition at blocking and detecting malware, and it is hit hard by slow scan speeds.